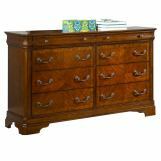 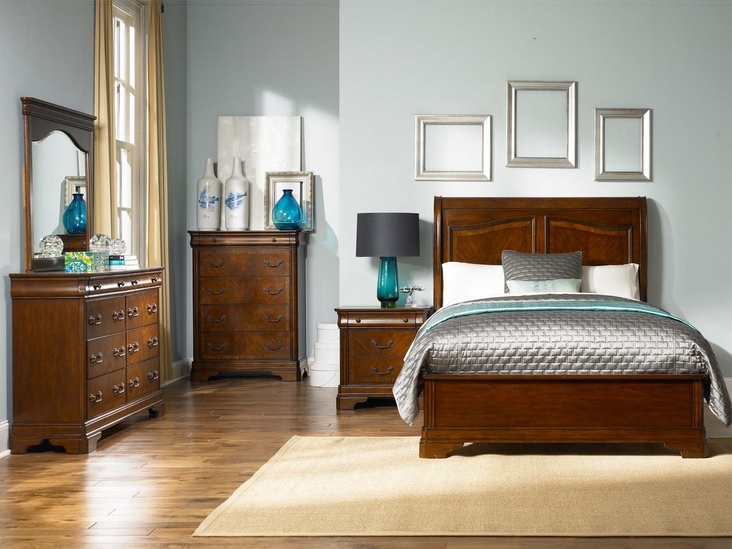 Classically designed with traditional curves and timeless style, the Alexandria Bedroom Collection by Liberty Furniture makes an elegant addition to your home decor. 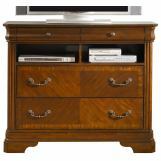 Expertly crafted in select hardwoods and cathedral cherry veneers, this collection is warmly finished in rich, autumn brown. 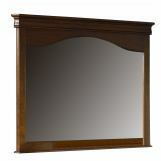 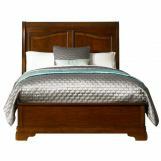 This collection offers Low Profile Footboard Bed and Clipped Corner Accents on the Pilasters. 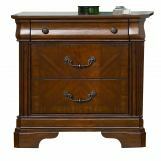 Each drawer features full-extension metal side drawer glides, convenient bottom case dust proofing, and English dovetail construction. 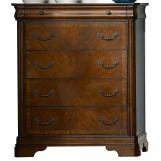 In addition to that, drawers have stained interiors and top drawers are felt lined. 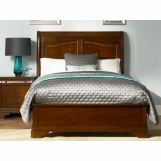 Warm and welcoming, it will serve you for years to come!